The all-wheel drive adapted to the road conditions automatically. I could literally feel how stable it was, even in a snowstorm. When residents of southeast Michigan want a quick and affordable break, they go “Up North,” by which they mean the northwest corner of the state. 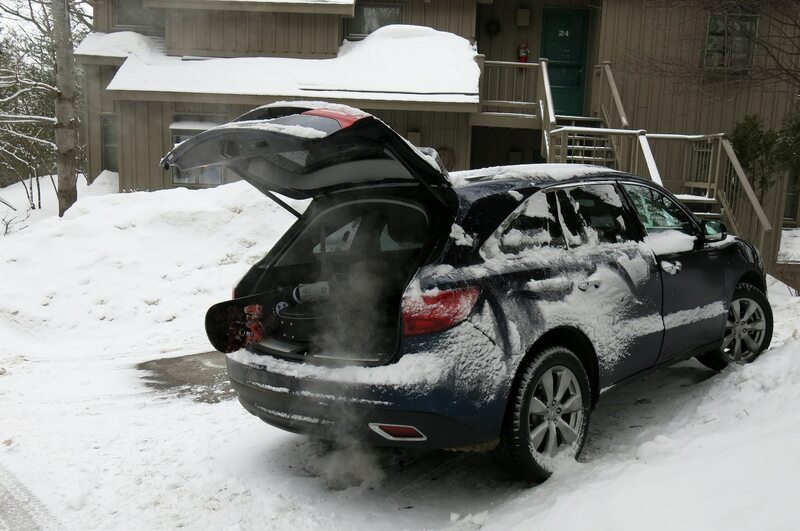 Last month, two staffers commandeered the 2014 Acura MDX SH-AWD for trips up north to escape the ennui of winter. First, copy editor Rusty Blackwell and his family visited Traverse City’s Great Wolf Lodge. He reported that this three-row crossover was far more agreeable to drive than other big SUVs the Blackwell family has taken on northerly road trips, thanks to its responsive engine and spirited handling. 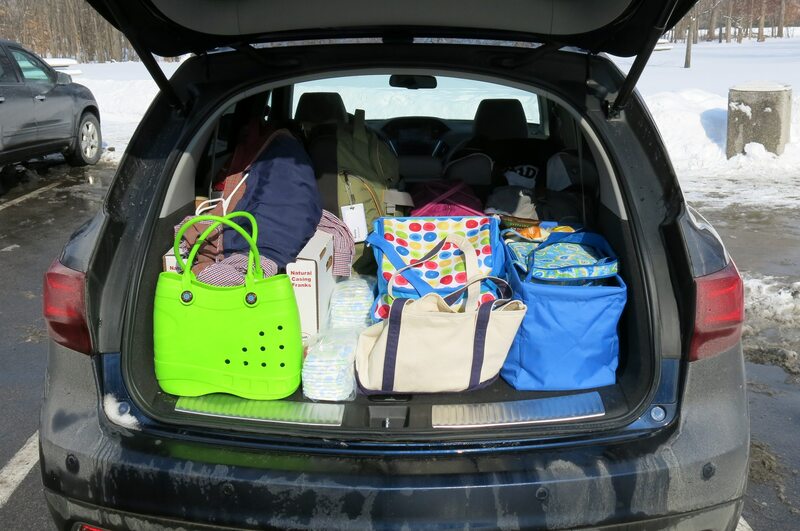 Together they make the MDX “drive like a much smaller vehicle.” At the same time, he found the Acura MDX capacious enough to fit four people, food, luggage, and more without a hitch. 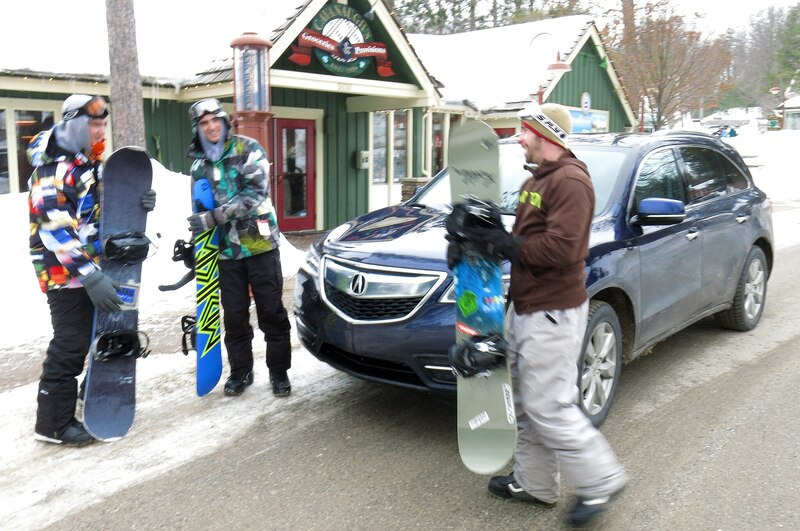 Soon after that journey up north, office manager Jackie Guenther used the Acura MDX when she ventured to The Homestead resort with her family. The trip there, which usually takes approximately four hours, required nearly twice that as the Guenther clan battled wind and snow. 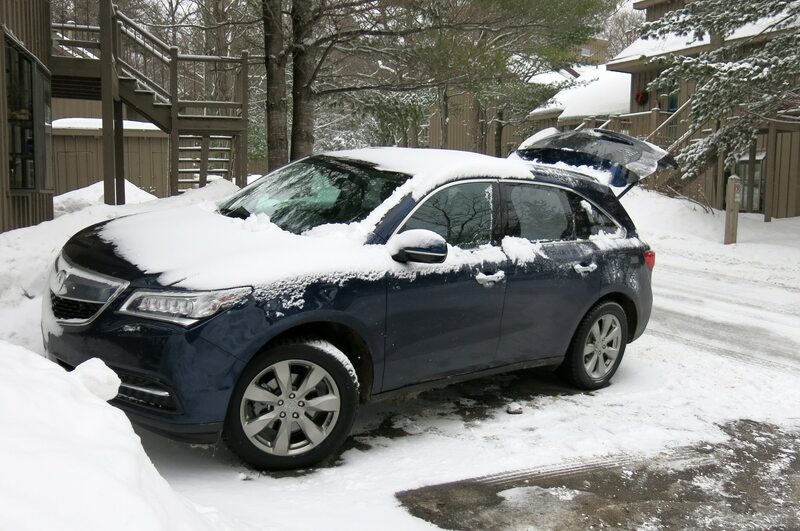 Fortunately, the Acura MDX won praise despite the weather. No doubt the Bridgestone Blizzak winter tires currently fitted to our Acura MDX helped its grip on the windswept rural highways. 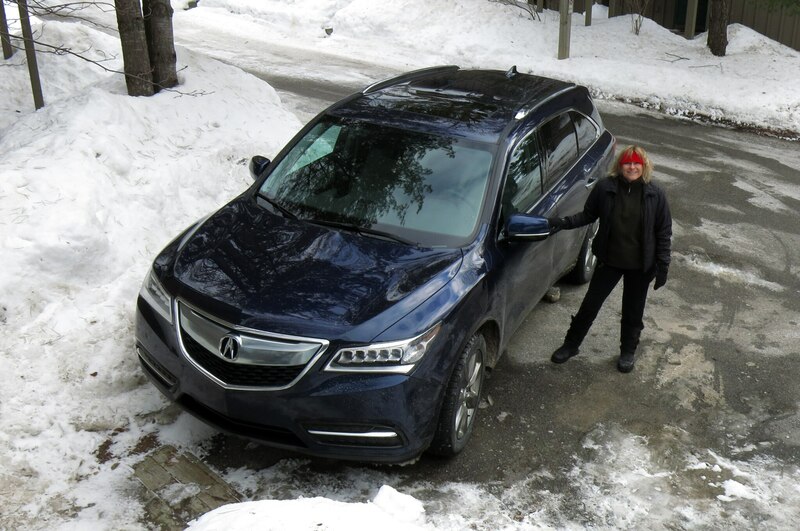 After the weekend getaway, Guenther and her husband had plenty of praise of the Acura MDX and only a few complaints. 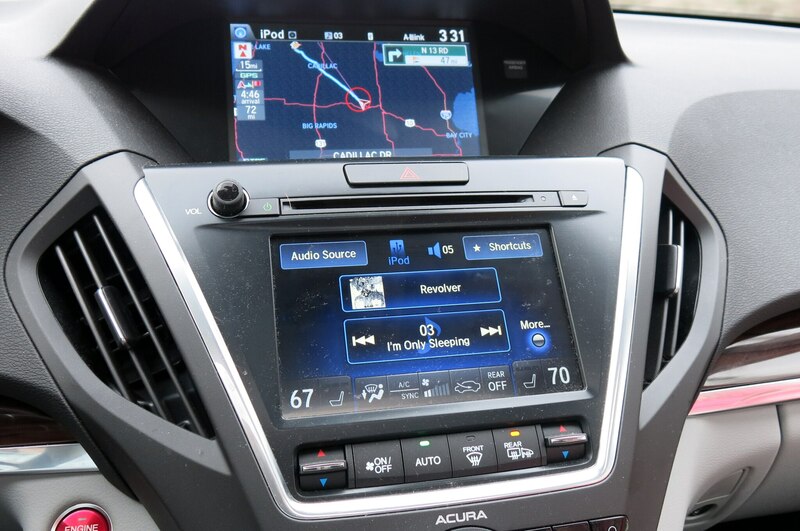 They, like many others, found using the touchscreen to activate the heated seats can be a chore, and were annoyed that the navigation system can only be programmed when the transmission is in Park. The latter issue is designed to prevent driver distraction, but it’s frustrating when a companion could safely type in a new destination from the passenger seat. With those trips pushing the Acura MDX’s odometer reading to 8520 miles, it was time for the car’s first service. The display in the instrument cluster informed us that the engine oil had only 10 percent of its useful life remaining, and recommended an “A1”service that consists of an oil change and tire rotation. Our nearby Acura dealer did the work in just a few hours, changing the MDX’s oil filter, topping the engine up with 0W-20, rotating the tires, and performing a thorough inspection. The total charge was $87.21. The MDX is now ready for more weekend getaways—or trips further afield.